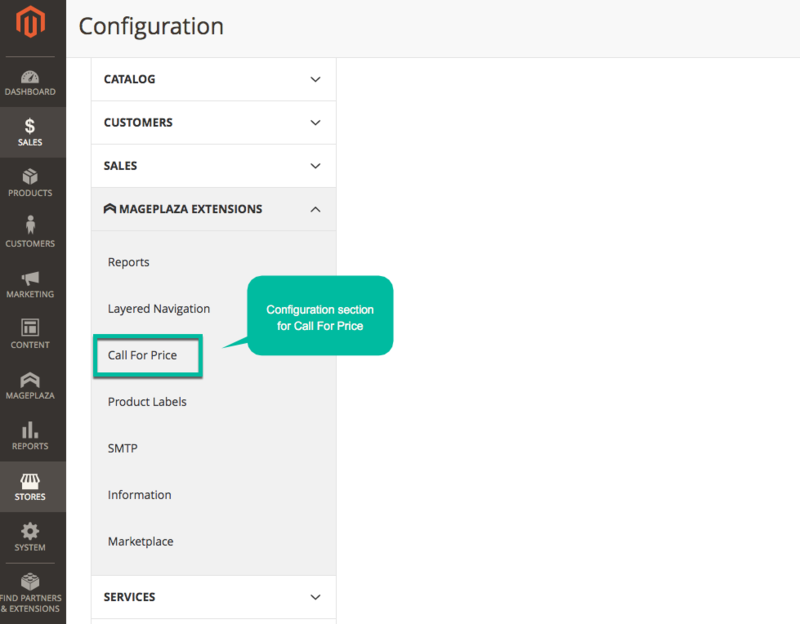 Magento 2 Call For Price extension by Mageplaza supports e-commerce shop owners to manage the product price visibility. 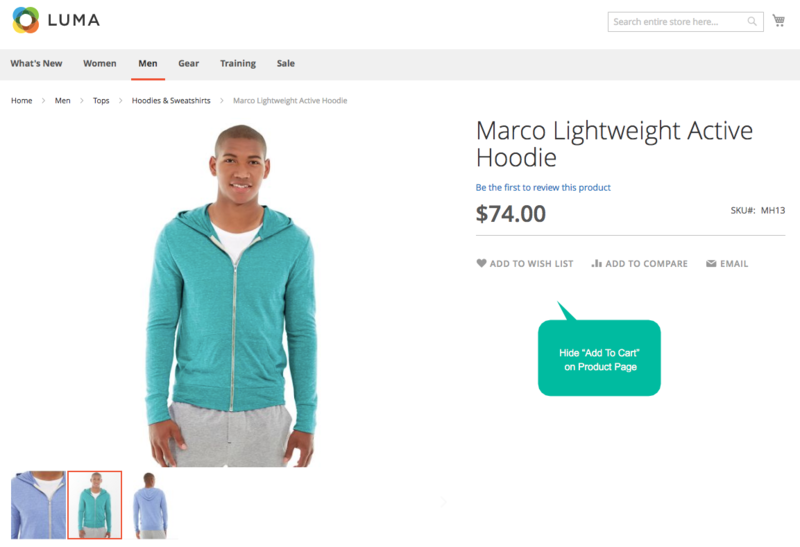 This extra extension for Magento 2 is useful to specific purposes that push buyers to contact to store as well as hide product prices effectively. Why is hiding prices necessary? Hiding prices leads to communication between stores and buyers become more closely. The support then will be more detailedly and better. The negotiation can be done privately and sensitively. Therefore, it increases the success rate of purchases thanks to productive interaction with customers. With the products are sold by a large number of distributors, the shop owners would like the price to be non-public to avoid competitiveness and losing potential customers. The price is frequently changed due to the effect of economic fluctuation. In this case, showing the fixed price is not possible. At each period, customers should contact directly to get the updated actual price. In case, a customer feels curious about some kind of product while at that time, the price is showed and immediately he finds that he can not afford it, his intention of buying will be eliminated right away. The hiding of prices encourages customers to invest more time to understand deeply about product value before considering its price. The "Add to cart" button will be hidden in this case. The purpose is mainly introducing details of products. The store would like to provide products information to visitors instead of aim to encourage customers to make the purchase at a specific time. This application can be used when products are not available (out of stock or upcoming in near future). For example, the upcoming release of a new mobile version. 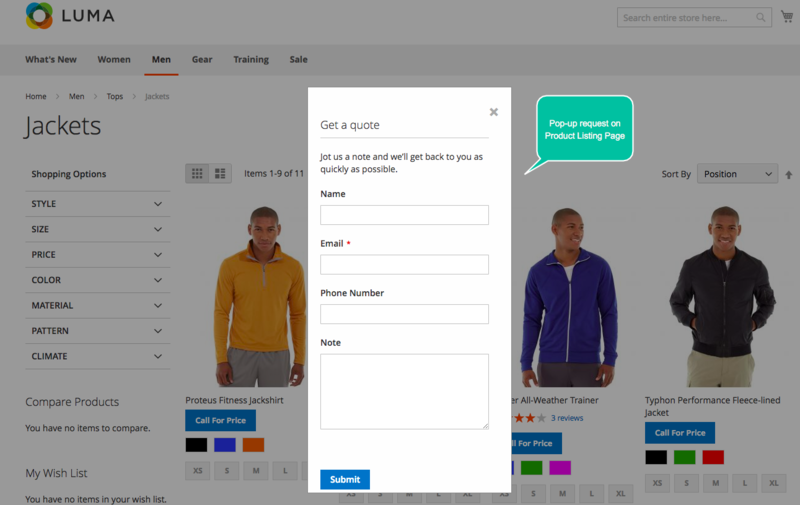 A pop-up as request form will appear, suggesting customers to fill in before approaching product price. The most important field in this form is leaving a message to store owners. This is significantly helpful to customers who are wholesalers because they would like to make big orders and wish for direct negotiation for the best price. For instance, a fashion retail store would like to order a large number of clothes. With the product which requires a special purchasing procedure and the store owner would like to give the instruction carefully for the buyers, the redirecting function of Call for price/ Get a quote button is useful. 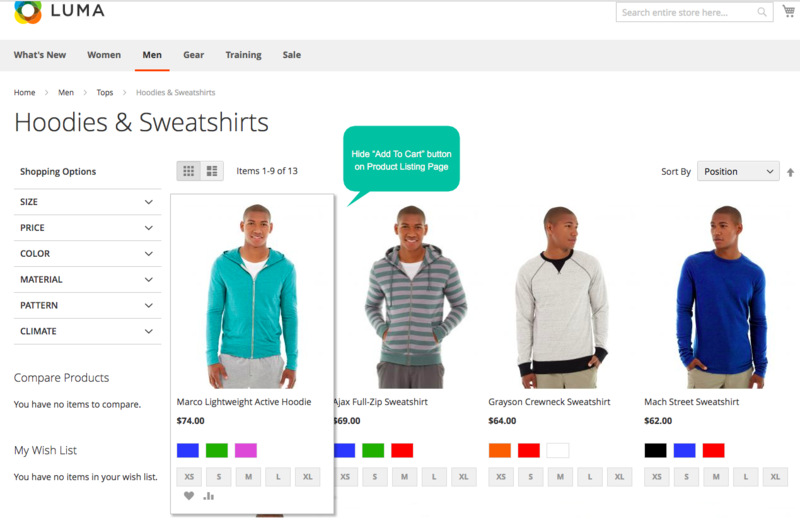 By clicking on this button, customers will be navigated to a new detailed page. It can be How to buy or Contact us. For example, a type of shoe which is distributed internationally, so customers will be linked to the right distributor site near the customer's location. Customers are required to log in to see the product price. 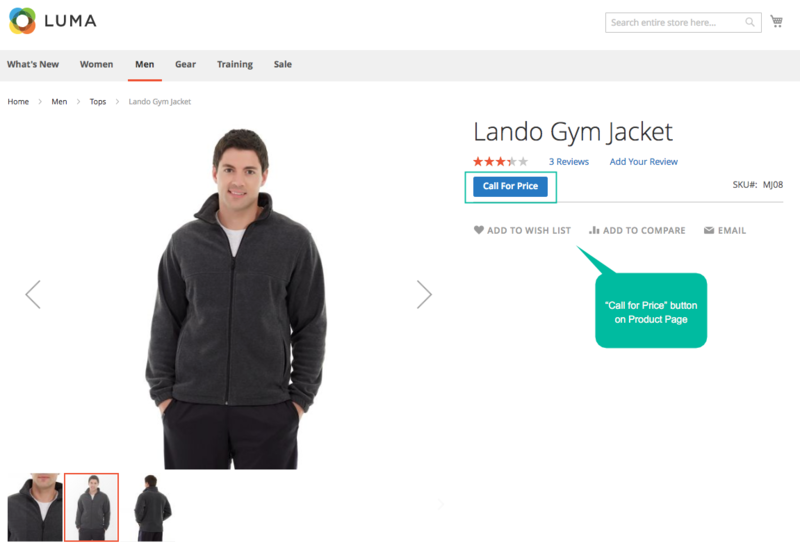 Login to see price button now is commonly used in professional online stores. The price will only be shown to the users who are really keen on and do not mind signing up to approach more product information. - Hide "Add to cart" button. 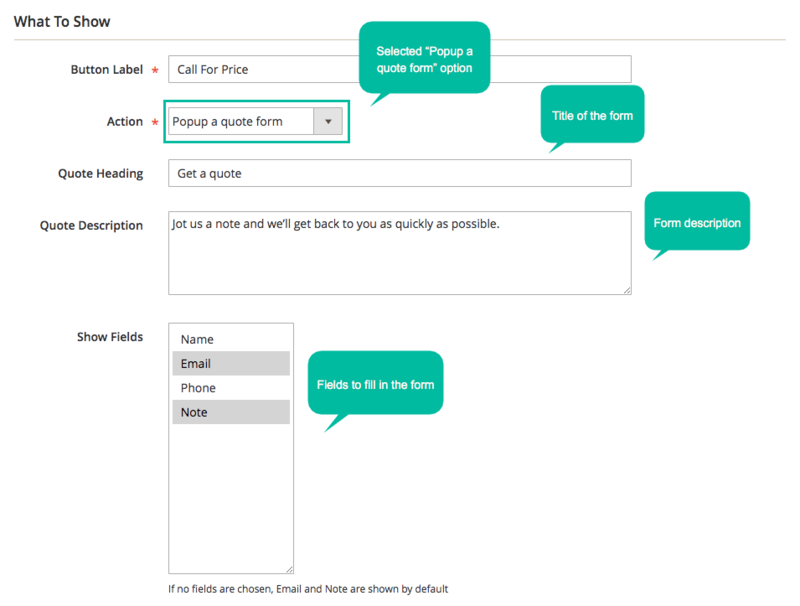 - Popup a quote form. - Redirect to an URL. - Log-in to see price. 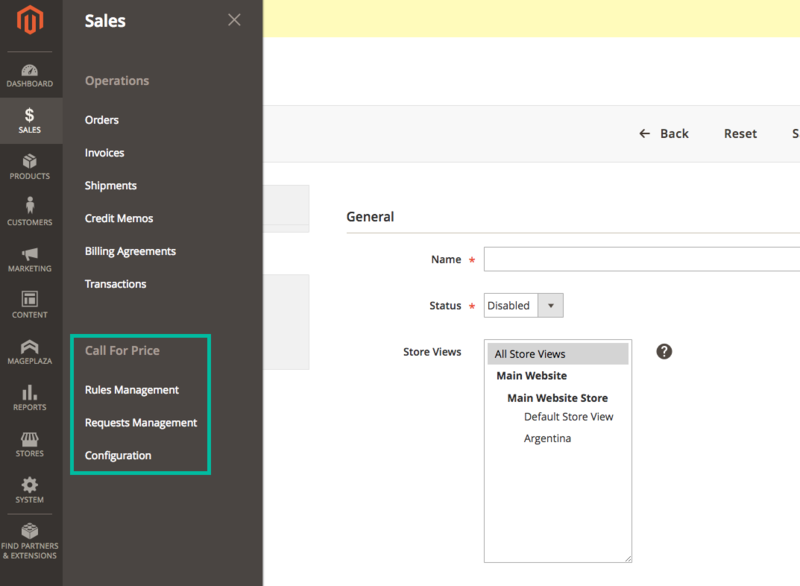 Call for Price by Mageplaza allows admin to assign a specific Call for Price action to specific products or categories. The action will be applied depending on flexible conditions such as Product Category, Product Attribute, or Attribute Set. 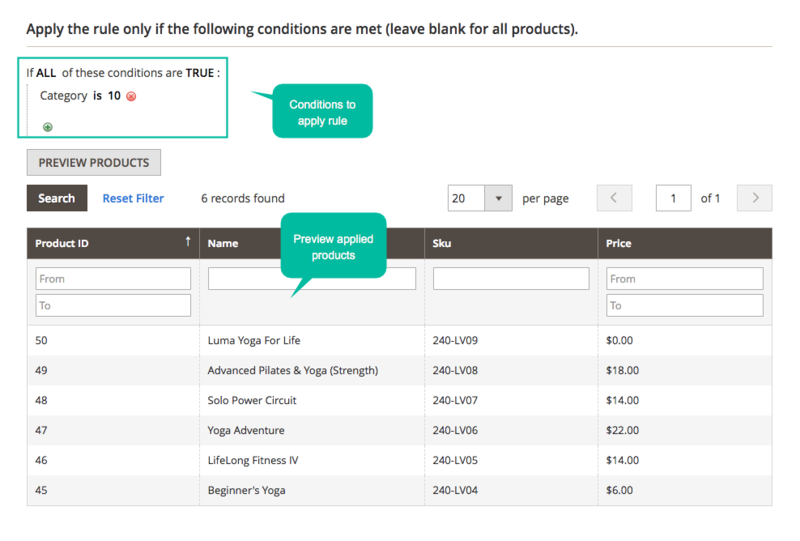 In case admin would like to set a separate rule for one product, it is also possible in backend setting. 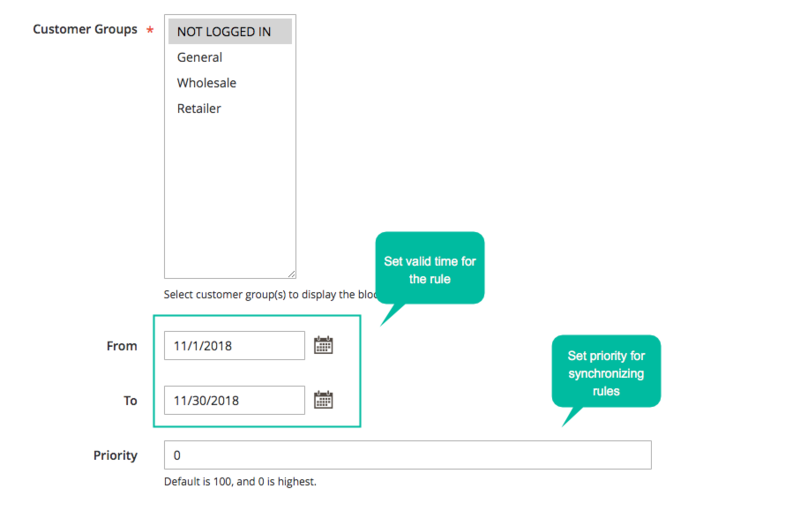 Admin can easily view, manage rule information in the management grid. 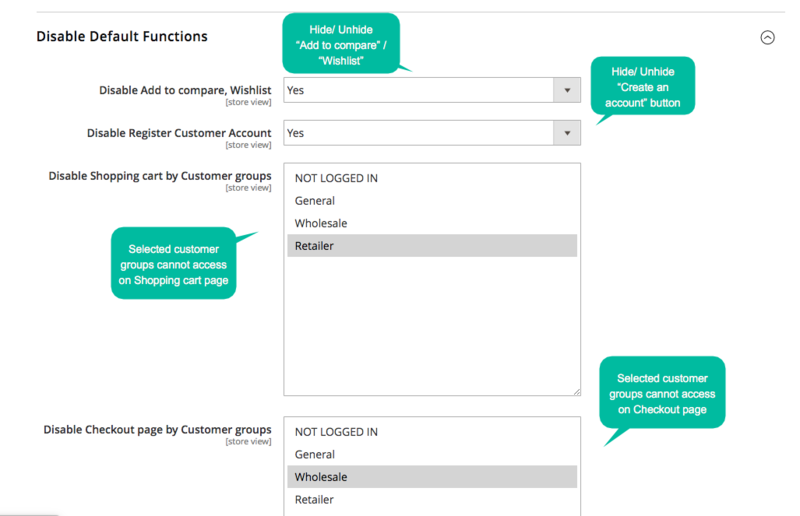 The main attributes are status, action, store view, customer group. Flexible module settings of Mageplaza Call for Price allows admin to set price visibility to certain visitors. 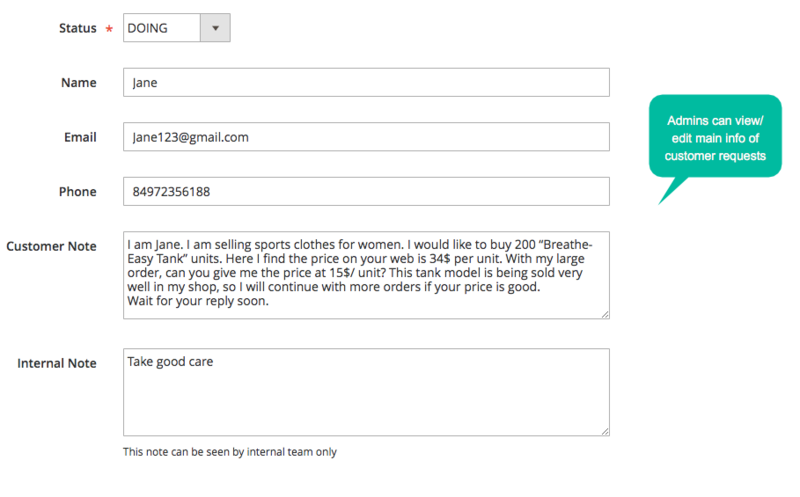 It can be customized by customer groups (General, Wholesale, Retailer), by store views or any groups admin want to set. Hence, the price will be hidden accordingly. 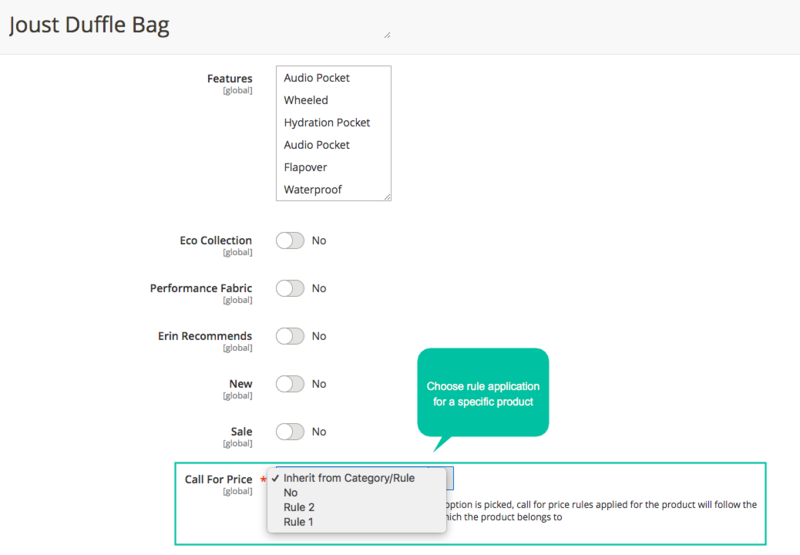 This option assists store owners to manage price visibility effectively and encourage particular customers to contact directly. 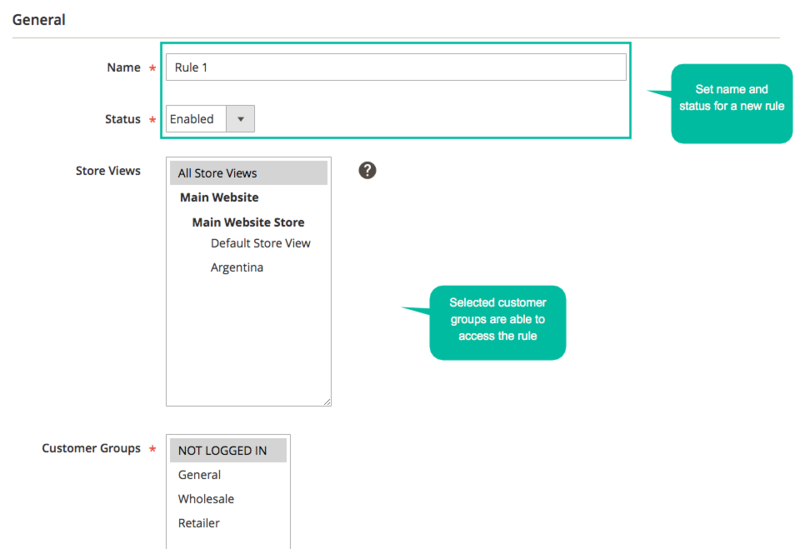 From the rule management grid, admins can easily view which customer groups are applied specific rules. 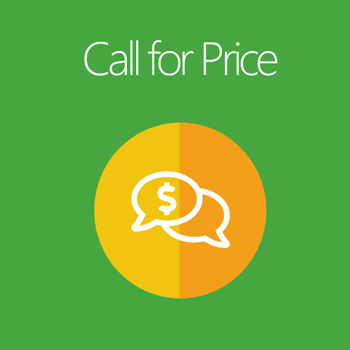 A noticeable feature of this module is Advanced Call for Price Report. The report will appear in the dashboard of admin backend with the reported monthly figures of the number of requests, names of requesters, all requested products, top 10 requests for product prices and comparison chart between two continuous months. 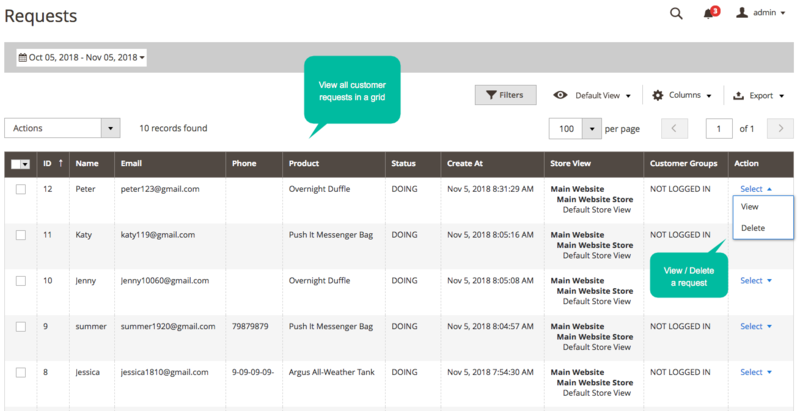 This feature supports store owners keep an eye on every update, access the concerning level of customers about shop products. Besides, store owners can make sure not only do not miss but also come back to any requests of potential clients quickly. As a result, this will improve customers' satisfaction and increase shop ratings. This module is properly compatible with Mageplaza Advanced Reports Extension. Call for Price is properly compatible with related extensions developed by Mageplaza: Checkout Module, GDPR, Google reCaptcha, Social Login, Advanced Reports .These extensions also support each other well to bring about the best results. 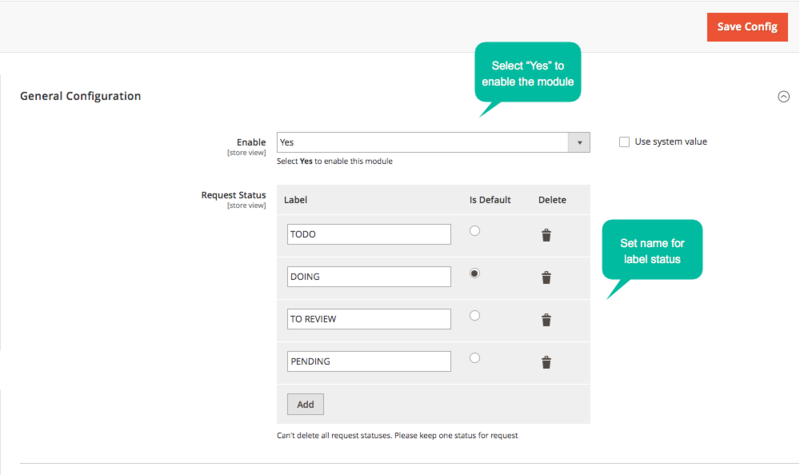 Admin can easily view and manage all requests from customers on the backend grid. Here the main related information will be shown clearly including names of requesters, email addresses, phone numbers, concerned products, the status of feedback, configured store view and customer groups. 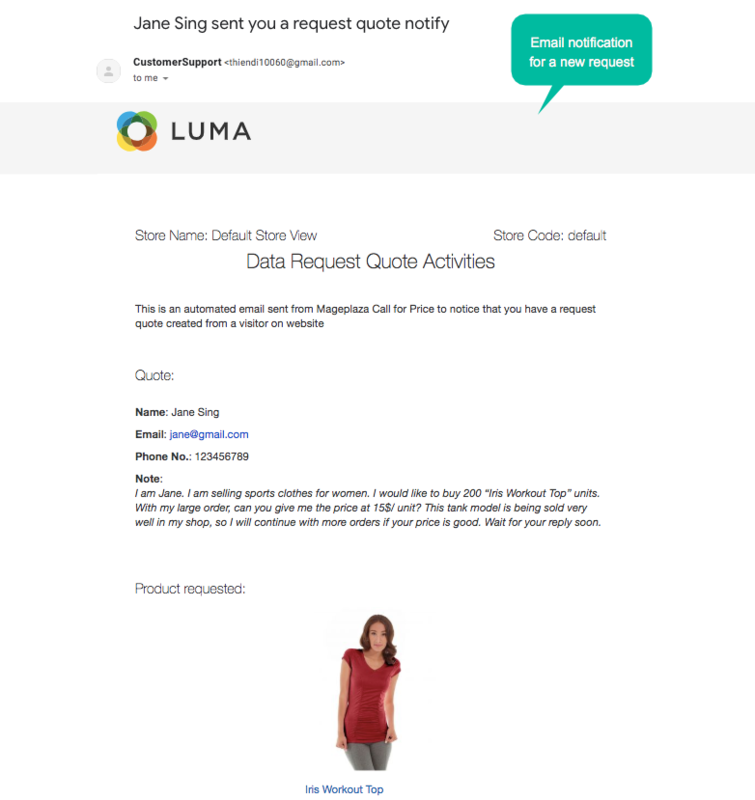 Email notification can be activated from the backend configuration. It helps admin be noticed when a request has been submitted. Hence, the store can give the reply to customers in time. 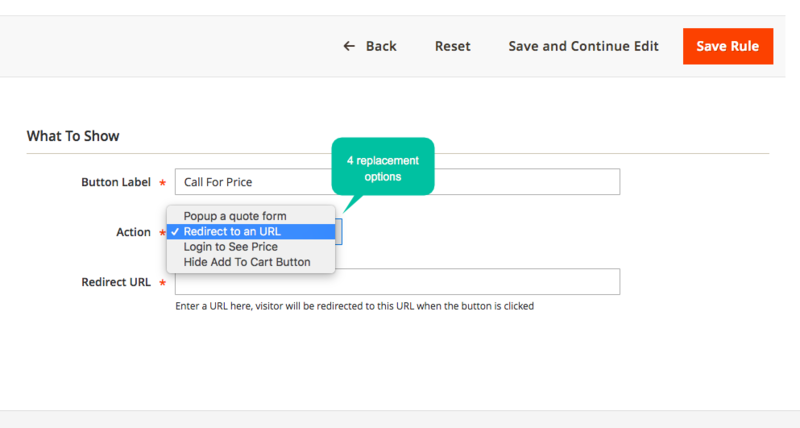 In case Magento store owners find the built-in features Add to compare or Wishlist not useful to stores or customers, right from the backend configuration of Call for Price, admin can disable these features. This extension was easy to install and configure. It does exactly what we required. Worked fine with with the Porto theme. No issues at all. Thanks. I am a wholesale store owner and actually, I do not want the price of all products to be public for all customers. I would like to have more discussion before giving the quotation. Thanks to this great tool, I really feel relaxed because I find the best solution. Many thanks for your helpfulness!